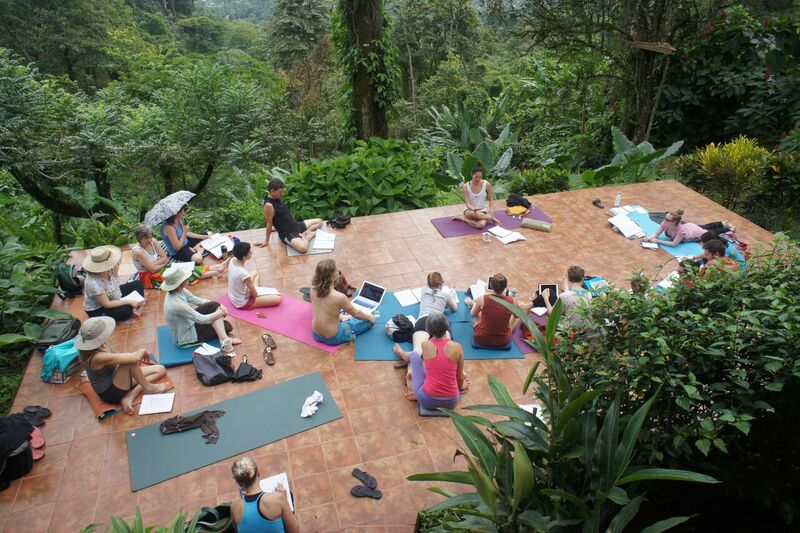 Join the 200 hour Hari-Om Yoga Teacher Training at Samasati Retreat and Rainforest Sanctuary. Hari Om provides teacher trainings at Samasati 4 times per year. Hari Om provides students a solid foundation for teaching Yoga along with stimulating participants to find their own personal path among the different and numerous approaches and techniques that exist in the world of Yoga. The professional Teacher Trainings are true Yoga immersions at their finest. Our Yoga Teacher Trainings give participants the opportunity to achieve both the 200 hr and 300 hr Yoga Certificates. The Hari-Om School is a Yoga Alliance(YA) Registered Yoga School(RYS) and the Certificates are recognized by Yoga Alliance. Teachers will be available through the training to answer questions and to support students to overcome difficulties they may encounter as well as to facilitate the development of each student as a competent yoga teacher. Hari-Om Yoga School believes in developing a community to support each other. Students will be given a book that will cover all the necessary teaching materials. Reading of integrative tests will be advised. All material will be sent via email 2 weeks before the course and have to be printed by the student prior the arrival to the course.